Its an exciting time for Cummings Racing as the racing heats up in the Spring. Think Big Stud was saddened by the recent passing of Dato Chin Nam who was unstoppable with his association with legendary trainer Bart Cummings. 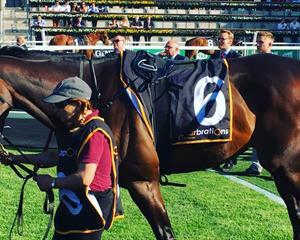 The Think Big colours were on display at Randwick on Saturday in the BM78 Hcp (2000m) and SKY BOY gave connections plenty to smile about as he streaked away for another win. The son of Pendragon has really stepped up this time in and looks set to be a high-class stayer for the team at Leilani Lodge. Anthony and Edward were both on course for the recent win at Randwick with both agreeing that there are a lot of options and he won’t be rushed with his progression. The debutants headed to Kembla Grange with the 3YO colt BALLER contesting the Maiden (1200m) for colts and geldings. For those who have seen this striking colt up close would all agree that he is an imposing type who looks to have all the ingredients to thrive in the competitive NSW racing scene. Koby Jennings rode him like he was the best horse in the race and upon straightening there was no stopping him as he stretched out and kicked hard on the bend. He was eased down on the line and it looks likely that his next assignment will be at metropolitan level after a professional display first up.